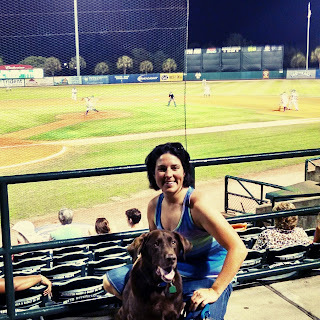 Last night was Doggie Date Night and Two for Taco Tuesday at the Charleston Riverdogs. 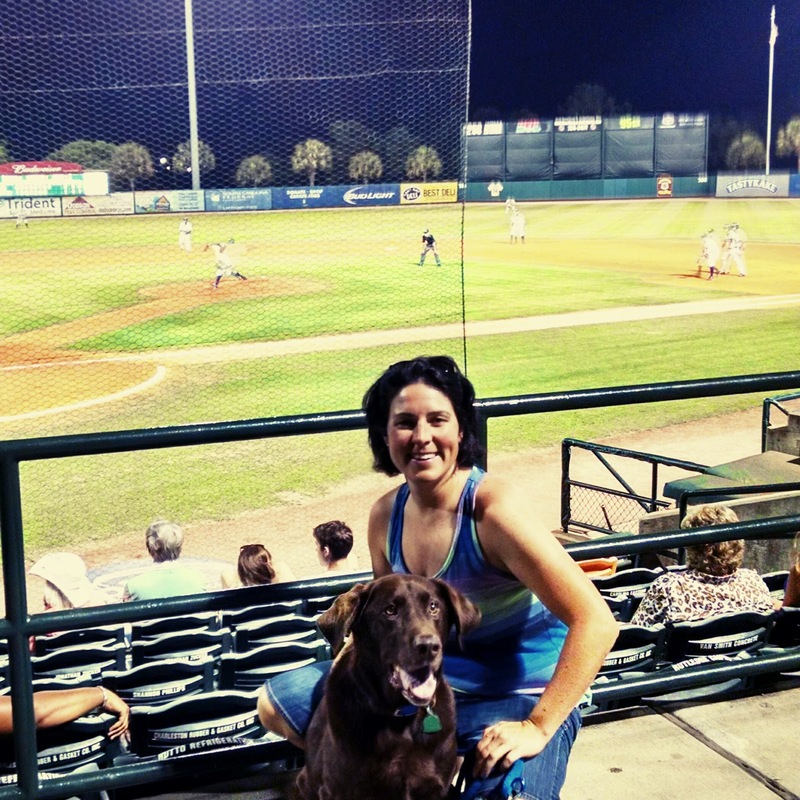 A great deal and a perfect night for baseball. 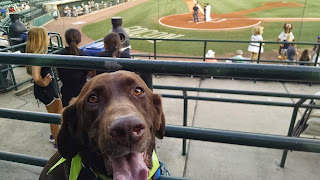 Picture with Dad from our choice front row seats. 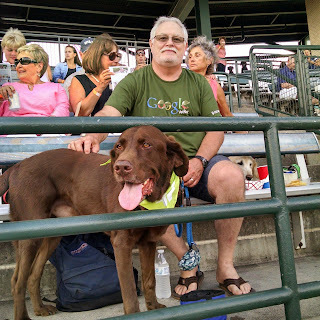 Set right on the walk way so Zeke could get all the pets and kisses. 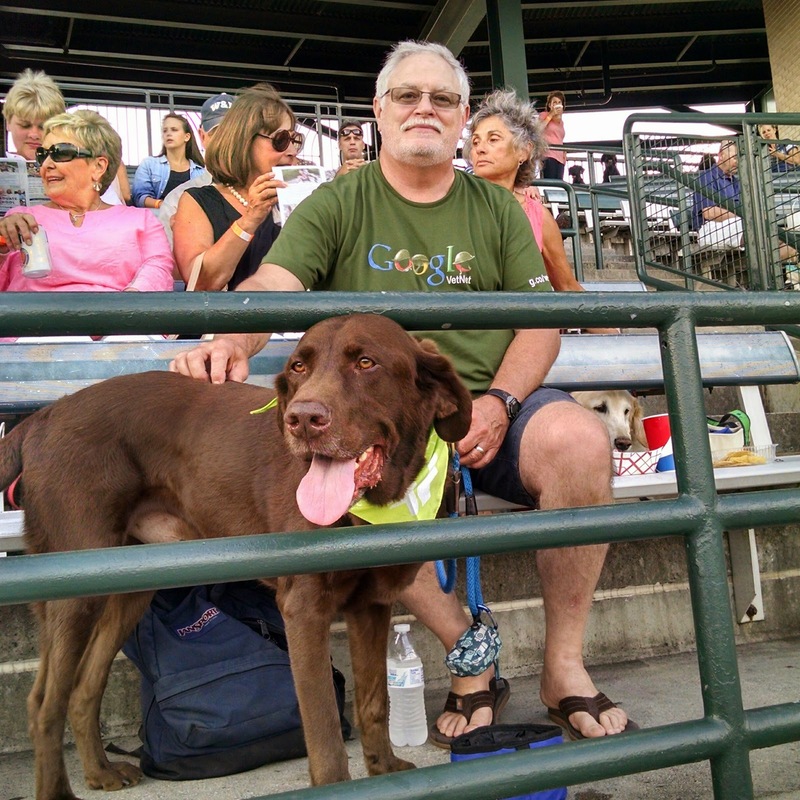 Mom and Zekers, the visiting Rome Braves won 8-1. GO BRAVES! 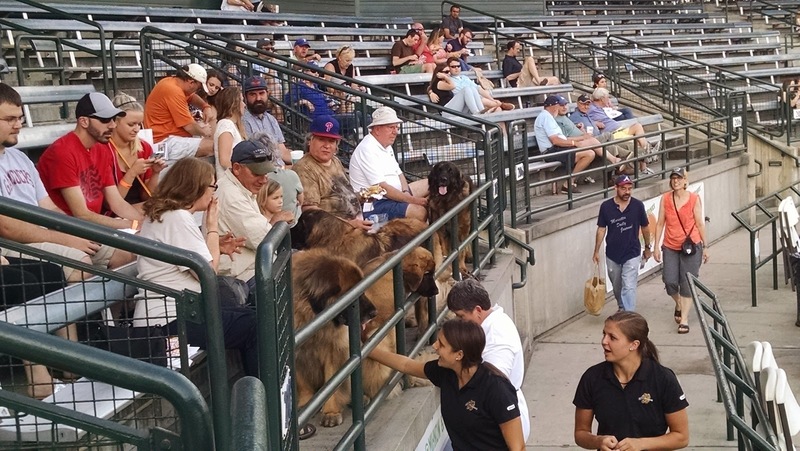 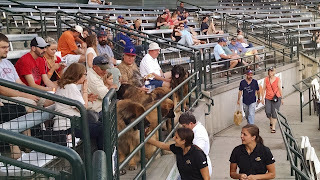 One section over the front row was filled with Leonbergers, very cool BIG mountain dogs. 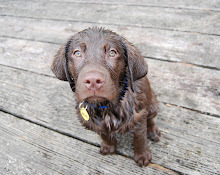 One four month old pup was bigger than Zeke!